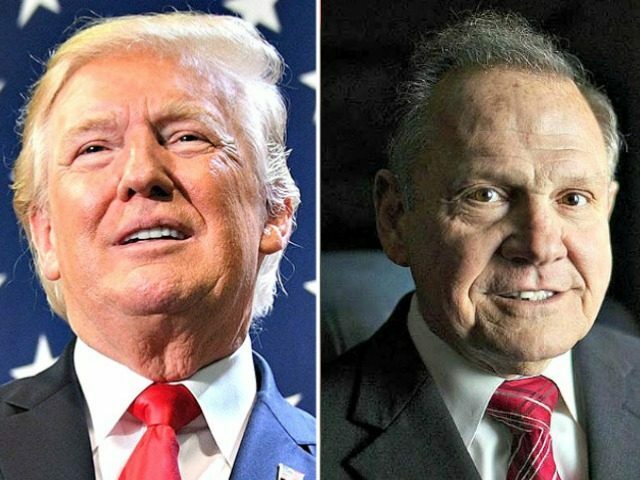 President Donald Trump congratulated Judge Roy Moore for winning the Alabama Senate primary. “Congratulations to Roy Moore on his Republican Primary win in Alabama,” Trump wrote on Twitter. The president endorsed Moore’s opponent Sen. Luther Strange in the primary, after he was appointed by the former Alabama governor to replace Sen. Jeff Sessions after he took the job as Attorney General in the Trump administration. “Luther Strange started way back & ran a good race,” Trump wrote. “Roy, WIN in Nov!” he added, appearing not to know that the special election to replace Sessions is scheduled for December. He later corrected the tweet, deleting the previous statement. Trump campaigned for Strange last Friday, admitting that he “might have made a mistake” but that his decision to endorse was about loyalty. On Monday, Trump promised to work hard for Moore, should he emerge as the winner. “I told Luther, and I have to say this, if his opponent wins, I’m going to be here campaigning like hell for him,” Trump said in an interview on the Rick and Bubba radio show.